Rabbi Ilana Berenbaum Grinblat is the Vice President of Community Engagement for the Board of Rabbis of Southern California. She teaches Midrash (biblical interpretation) at the American Jewish University's, Ziegler School of Rabbinic Studies and lead monthly Shabbat services at Open Temple in Venice, CA. She is the author of Castles and Catch: Spiritual Lessons Children Teach Us published by Author House (July 2015) and Blessings and Babysteps: The Spiritual Path of Parenting published by Behrman House in 2011. Her parenting columns have appeared in the websites of The Forward, the Jewish Journal, and the Washington Jewish Week. Formerly, she served for five years as the rabbi of Temple Beth Shalom in Long Beach, CA and subsequently for two years at Temple Ner Ma'arav in Encino, CA. She is the wife of Tal (a franchise lawyer) and mother of two children, Jeremy (age 12) and Hannah (age 9). Raised in Washington, D.C., Ilana grew up in a traditional Jewish home. She was also deeply immersed in politics and the fascinating cultural arena of our nation's capital. She spent her summers working on Capital Hill and other organizations in D.C. For college, she attended Brown University in Providence, RI, where she studied world religions. Her love of travel led her to spend two semesters abroad -- teaching in a rural Ecuadorian Schoolhouse and studying African art and culture in Ghana. During this time, she discovered her desire to become a rabbi -- integrating her interests in writing, teaching, counseling, and community building. After college, she worked at the American Jewish Committee in Washington, strengthening intercultural relations between the Jewish, Latino, African-American and Polish-American communities on a national level. Her passion for community building then brought her to Los Angeles where she attended the Ziegler School of Rabbinic Studies and was ordained as a rabbi in 2001. During rabbinical school, she interned at Beit T'shuvah, a center for Jews recovering from drug and alcohol addiction. After ordination, she taught at the Milken Community High School and served as the rabbi at B'nai Ami synagogue in Chatsworth. She soon found herself increasingly drawn to the pulpit rabbinate and then served as the rabbi of Temple Beth Shalom in Long Beach, CA for five years. During this time, she had her two children and began writing and teaching about the spiritual changes of parenting. Subsequently, she earned an M.A. focused in Midrash from UCLA and published her two books on Torah and parenting (in 2011 and 2015). In 2016, she began her role leading the Board of Rabbis. 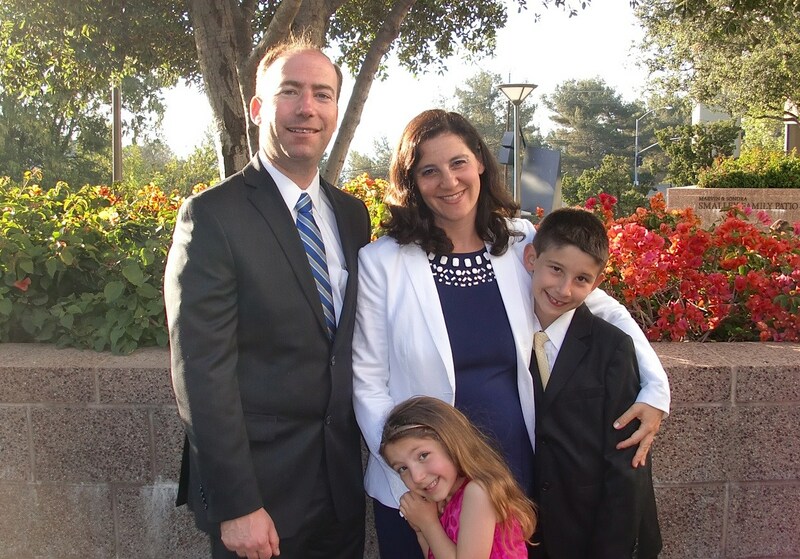 In this capacity, she enjoys assisting her colleagues on their rabbinic journeys and joining our voices together to strengthen the Jewish community of Southern California.